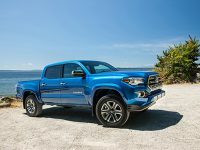 Post Tagged with: "toyota truck sales"
The numbers are in for June and the Toyota Tacoma had another drop in total sales volume. With a more competitive market place coming soon, the drop in volume is becoming a trend. How low will volume go before rebounding? 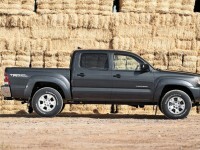 The Toyota Tacoma posted its best month of the year with nearly 14,000 units sold. 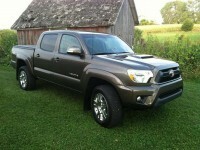 After giving up market share to Nissan for the last few months, the Tacoma quickly took it back. 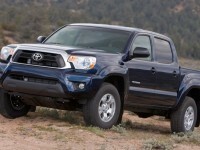 Toyota Tacoma February 2014 Sales Drop – Consumer Response to New GM Twins? 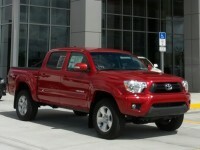 Toyota Tacoma January 2014 Sales Down – Cold Weather to Blame? Toyota reported its January 2014 sales and the Tacoma was down quite a bit. Most analysts think it was simply the cold weather to blame. 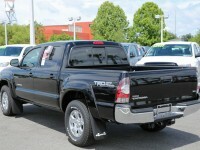 The Toyota Tacoma ended the 2013 sales year with strong growth figures, once again dominating the competition. No surprise there. 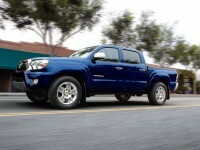 The numbers are out for November of 2013 and the Tacoma is holding steady, but competition is coming. Recently, all the manufactures weighed in on the midsize truck segment. Here is what they had to say.